No one likes unwanted houseguests squatting in their home, even if said residents are busy making something tasty. 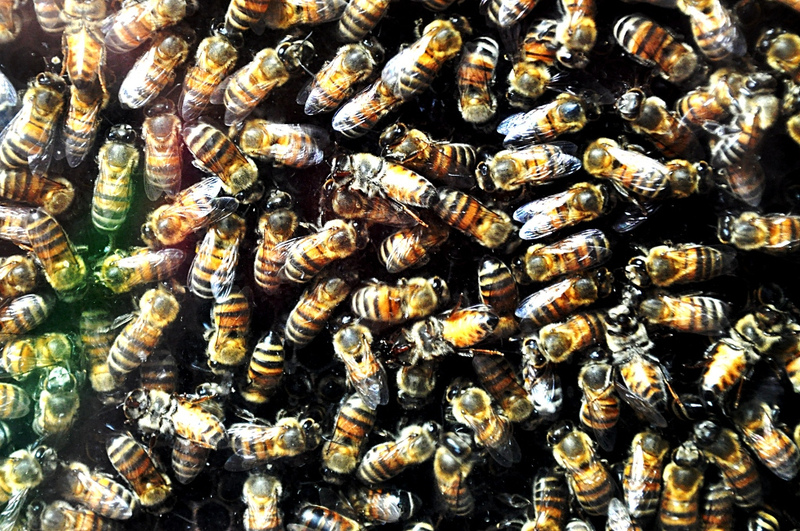 So when officials in New York City found a hive of roughly 40,000 bees living under the floorboards of a Queen apartment, experts felt it was best to evict. The owner of the home called in a retired New York Police Department detective whose known for his skill with bees to diagnose the source of a loud, buzzing noise coming from somewhere inside the house, reports the New York Daily News. His investigation using an infrared camera on a pole led to the discovery of the rogue swarm that had moved in under a bedroom in the house, at a spot where that room overhangs a backyard deck. It took more than two hours to remove the bees, with honey dripping off a massive honeycomb as it was carefully pulled out from under layers of siding and plywood. Luckily enough for the hive, the queen was found, so the colony will be moved to a new home upstate by another beekeeper.